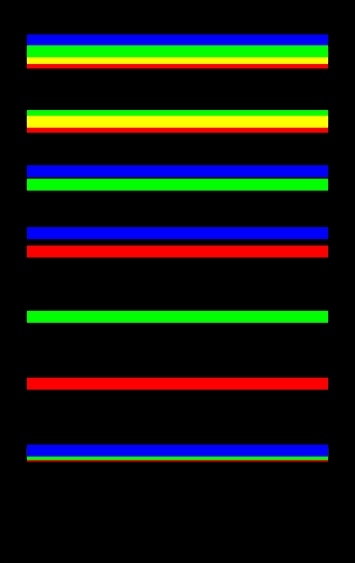 Using a prism, you can see the three primaries. 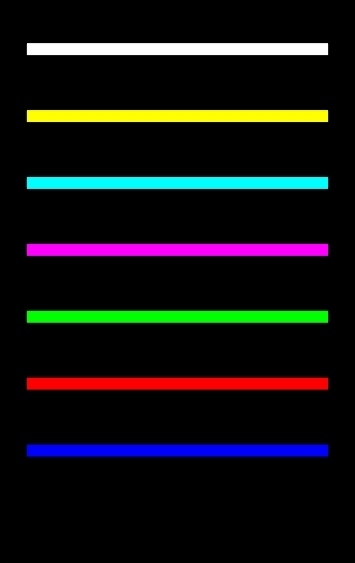 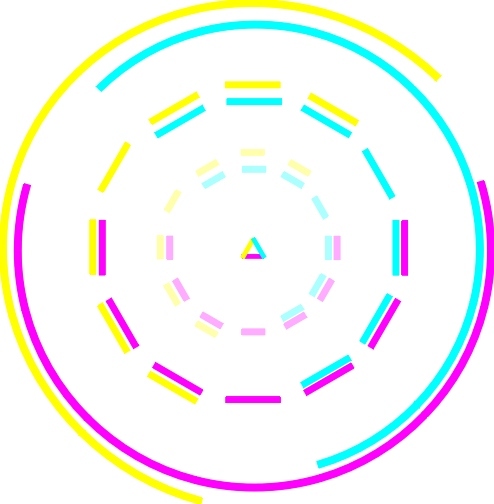 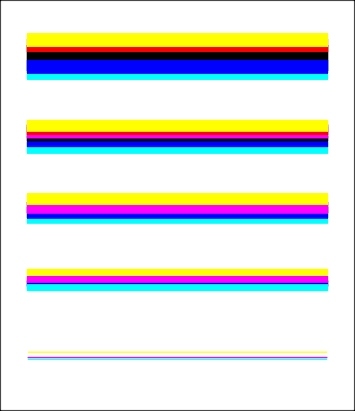 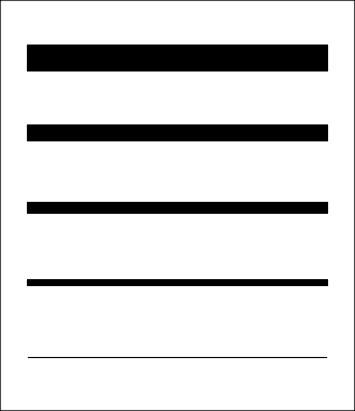 With a black line on a white background, you can see true Cyan, Magenta, and Yellow. 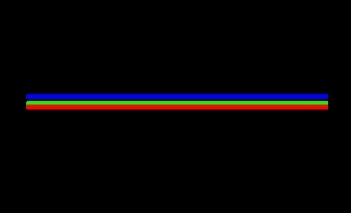 With a white line on a black background, you can see the true primaries Red, Green, and Blue (Blue-violet). 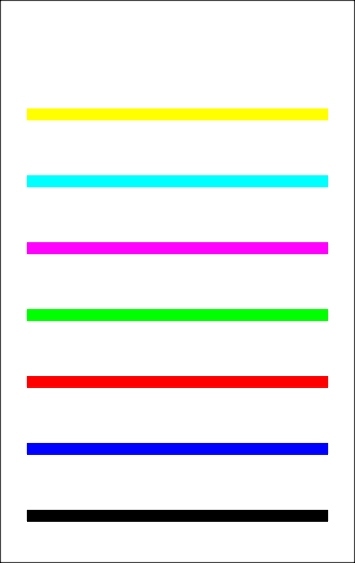 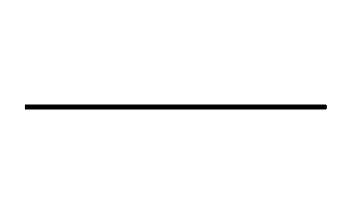 Note that as the line sizes changes, the number of colors you see increases. 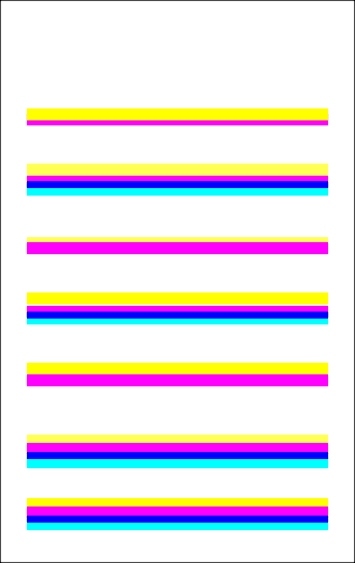 The reason for this is because as the lines of color begin to converge, we are able to perceive more colors. 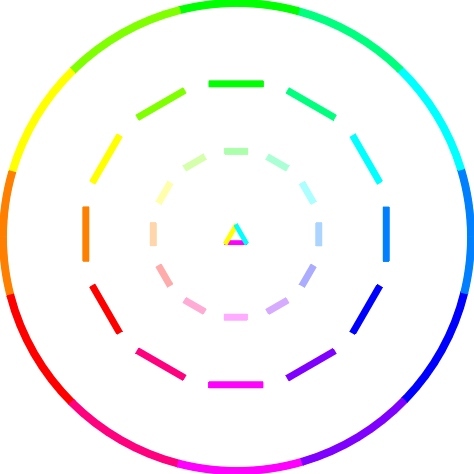 For each of the recognizable colors below, you can use the prism to determine the 'primary' colors used to make them. 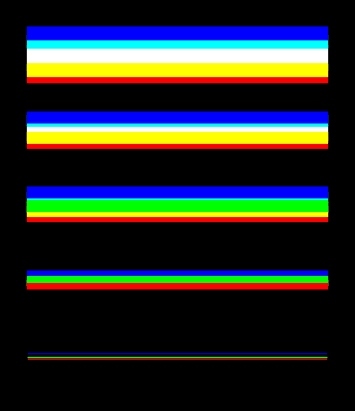 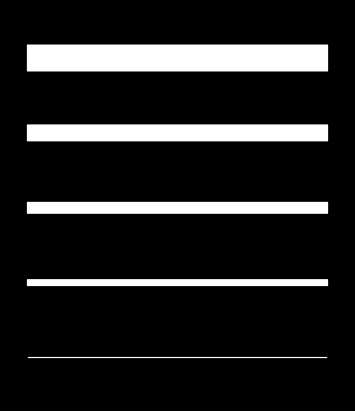 Note that the primaries are subtractive when viewed on a white background, and additive when viewed on a black background.